Having established most of its schools in rural areas, the Lebanese Maronite Order felt the need, in the early 60s, to establish schools in urban areas in order to widen the scope of its educational mission. 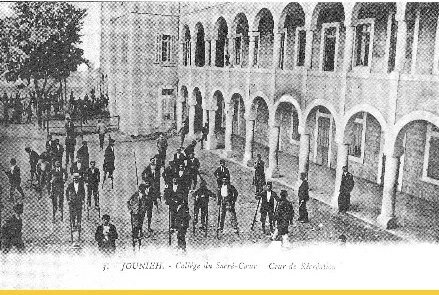 The opportunity arose when, in 1966, the Marist Brothers presented their prestigious institution in Jounieh, founded in 1903, for sale. 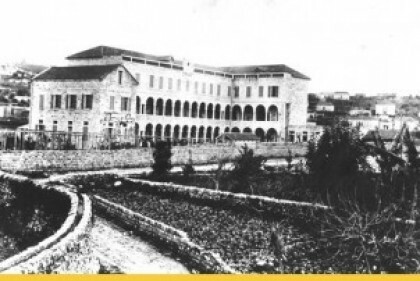 Without hesitation, and having a long history in the service of the Lebanese community and Lebanese youth, the LMO bought the Marist institution (land and building) in May 1966, and gave it the name we all know today Central College of the Lebanese Monks- Jounieh, or CCJ. The renovation and preparation process took place under the leadership and supervision of Bishop Youssef Mahfouz, then Director General of LMO schools. Extensive effort, work, and enthusiasm were put into the renovation process that CCJ launched the first school year in early October of the same year. Under the management of RP Jacques SKAYEM, first Father Superior of CCJ, a team of monks assisted by 29 teachers were in charge of 368 students from Kindergarten to 3rd Grade. Ever since, CCJ has not stopped renovating its buildings and adding annexes and facilities to create the most suitable workspace and environment- physical, educational, and social- for our students to achieve and succeed. In addition to the renovation of the old building, a preschool building, a sports center, a technical school, new buildings with the same architectural structure and arcades of the original one, a music institute, a studio, a radio station, underground parkings, a day care center, laboratories, libraries, exam halls, and a driving school were all added. In 1982, the LMO constructed a spacious house in Hrajel, with a whole floor specified for CCJ students. Spiritual retreats and weekends are organized by the teachers for our students, during which they can spend enjoyable and memorable moments together in the monks’ house and the green land surrounding it.